The Ancient city of York has a number of art galleries from the traditional to the contemporary. Public art galleries are a fantastic place to draw inspiration and develop personal artistic preferences. For lovers of traditional art, York Art Gallery offers a wide range of artists and artwork, ranging from 13th century panels to 20th century studio pottery. For those with more contemporary tastes, York St. Mary’s offers annual summer exhibitions. 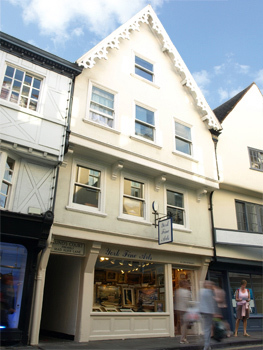 York Fine Arts remains York's oldest, largest and most comprehensive art gallery to buy artwork. The gallery specialises in British and international fine art including original oil paintings, watercolours, signed limited edition prints, and bronze and stone sculpture. The gallery also offers a number of services, including restoration and conservation, wedding Gift List, picture framing, valuations, private art sales and mirrors made to measure.